The company says the Mario Kart Tour app will be delayed until summer 2019 but didn’t specify a month or date. The game had been originally scheduled to be available on smartphones by the end of March 2019. The upcoming title will be first time the Mario Kart series has been available on mobile phones. 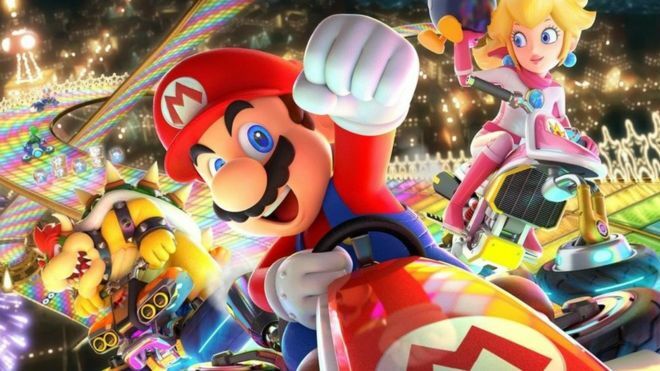 The full Nintendo statement read: “In the mobile business, Mario Kart Tour was scheduled to be released this fiscal year, but in order to improve quality of the application and expand the content offerings after launch, the release date has been moved to summer 2019. Nintendo fans will no doubt be frustrated they won’t be able to take on Toads Turnpike and other iconic tracks on their mobiles anytime soon. They might also be worried about how this classic crazy racing franchise will play on a phone. However, they can look to Legendary Nintendo games maker Shigeru Miyamoto for some crumbs of comfort. He is reported to have once said that a “delayed game is sometimes good, and a rushed game is always bad” or something similar. The Japanese company can usually count on their fans loyalty to their products and so no doubt the game will sell well when it’s finally released. Nintendo continues to be hugely success in the games console market thanks to sales of the Switch console. But, it has had mixed experiences with its mobile content. Games like Fire Emblem Heroes and Dragalia Lost have been relatively well received. However, Super Mario Run and Animal Crossing: Pocket Camp didn’t quite live up to the expectations of fans.